It’s that time of year again; a wave of red and pink has flooded the aisles of your local supermarket, and your favourite restaurant is suddenly harder to get into than a new packet of chocolate digestives. Yep, that’s right – it’s almost Valentine’s Day! The holiday doesn’t exist in quite the same way that it used to, and February 14th has come to mean different things to different people (shout out to all of the Galentines!). So instead of rubbishing the entire day, it’s a great time to take a moment to appreciate love in all of its different, brilliant forms. Hey, the passion that you have for your favourite lipstick is real, and don’t let anyone tell you otherwise! Well, this is really rather special! For one season only, Guerlain has reimagined their classic creamy KissKiss lipstick with a heart-shaped bullet and pearlescent pink casing. The rounded shape of the heart hugs the contours of your lips beautifully, creating a sophisticated outline that’s easy to touch up on the go. 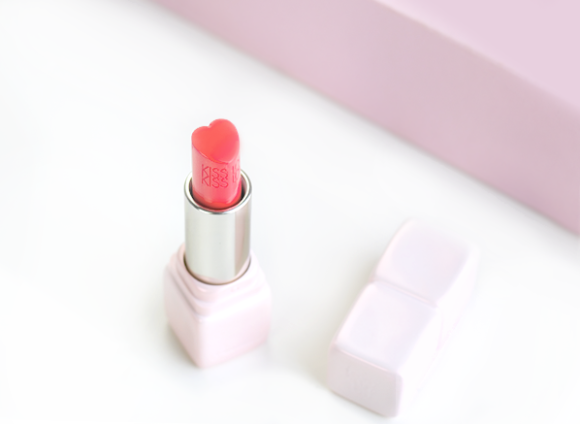 Shade 572 Red sold out in hours, so you’ll have to move quickly to catch 570 Coral while you can! Spring sees a triumphant new chapter in the story of a fragrance icon. 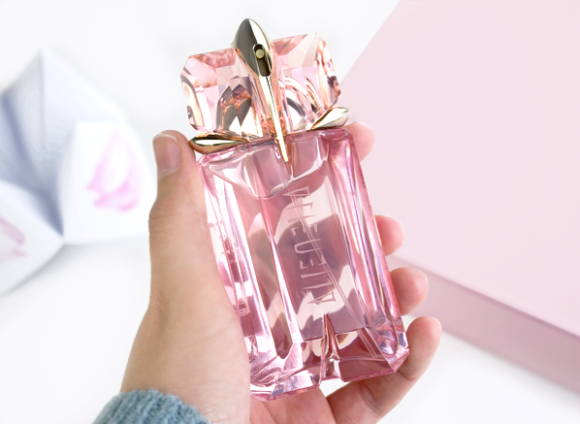 MUGLER Alien Flora Futura Eau de Toilette is an utterly sublime scent for women, crafted from the foundations of the hypnotising Alien fragrance and reimagined as an optimistic, radiant floral. So, what’s Flora Futura like? Well, it’s no fragile beauty. This vision of the Alien goddess is glowing from within, with a heart of night-blooming Queen of the Night flower on a sensuous base of white amber and sandalwood. It’s a modern-day bouquet, with a MUGLER edge. Radiant skin is always a thing of beauty. It doesn’t matter whether your style is more low-key luminescence or high wattage shine, there’s really nothing like a flattering glow. 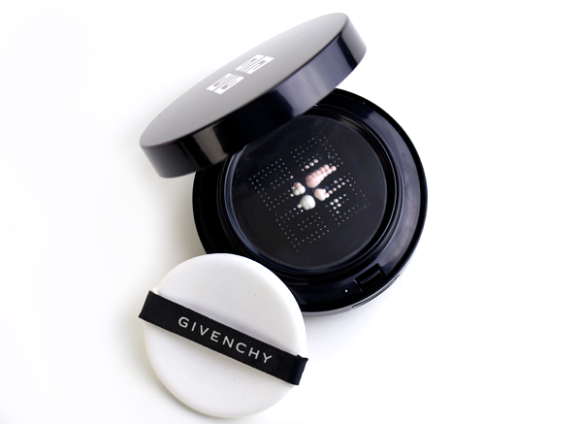 The GIVENCHY Teint Couture Cushion Glow Two-Tone Highlighter errs towards the subtle end of the glow-o-meter, with a creamy texture and pretty pearlescent finish that makes the skin gleam like that of an Instagram model… only, in real life. There’s just one universal shade, but it’s on the pinker side of things, so will look especially flattering on cooler and light-to-medium skin tones. 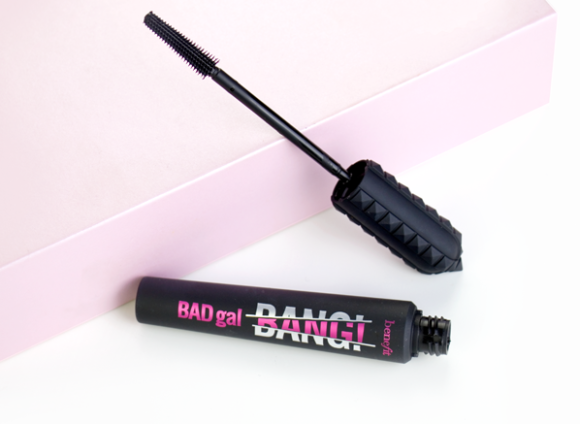 Last week saw the HUGE launch of Benefit’s latest innovation: the brand new BADgal BANG! Mascara. A fusion of weightless space technology (yep, really) with blacker-than-black pigments and a reported 36-hour wear time, BADgal BANG! isn’t messing around when it comes to impressive lashes. Each lash will be optimally lifted, separated and volumised, with minimal drooping and maximum impact. Keep your eyes on this one. With oversized eyeshadow palettes gaining momentum, it’s really nice to see a well-edited smaller palette making its mark. 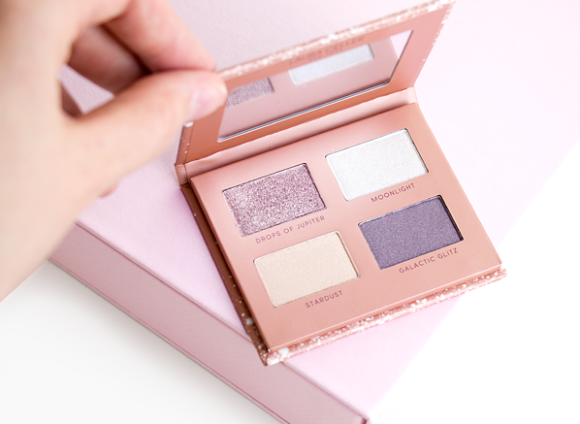 The Laura Geller Celestial Bliss Hi-Def Eye Shadow Palette is a brilliantly curated harmony to take note of, with metallic, sparkling and iridescent textures that are made for nighttime drama. It’ll transform your go-to smoke out with its high definition shine and creamy, long-wear hues. This entry was posted on Tuesday, February 6th, 2018 at 2:15 pm and is filed under Make-up, New products. You can follow any responses to this entry through the RSS 2.0 feed. You can skip to the end and leave a response. Pinging is currently not allowed.